Three human antibiotics can also be used in kittens. Like human babies, kittens sometimes get sick. Their tiny size and age make them more susceptible than adult cats to illness. Three antibiotics developed for humans are also used to help kittens get well. 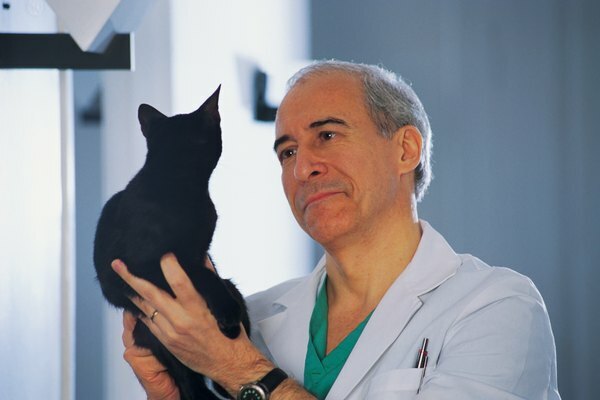 Consult your veterinarian with any questions or concerns about them. Amoxicillin is one human antibiotic that's also used in kittens and cats. It is used to treat cystitis, or bladder infection. Amoxicillin is the drug of choice for treating feline bladder infections, according to the Cat Health Guide. In humans, it is used on bacterial infections. Tetracycline is another human antibiotic used in kittens and cats. It is used to treat chlamydiosis, the second most common cause of conjunctivitis in cats and kittens. Conjunctivitis is an inflammation of the lining of the inner surface of the eyelids. Tetracycline also treats feline infectious anemia. In humans, tetracycline is used for bacterial infections and acne. In humans, penicillin treats bacterial infections. In kittens and cats, the use is basically the same. It is used to treat and prevent bacterial infections in cats, according to PetMD. Even if your doctor has prescribed you an antibiotic that's kitten-friendly, that doesn't mean you should give your kitten your medication. The dosage of your medication is meant for you. Your kitten weighs much less than you and is much younger. Never give your kitten your prescription drug, even if it is used in kittens. If your kitten needs antibiotics, take him to your vet immediately.